After 5 years of marriage, I have finally gotten an answer out of my husband when I asked him what he wants his birthday cake to be. I’ve so wanted to develop my own recipe for his birthday that will always be ‘his’ birthday cake. But it’s 5 years later and I’m still askin’. He’s gone from blueberry-custard pie to key-lime pie to stealing my dad’s cake to finally telling me he wanted a Just-Blueberry Pie. He says he doesn’t want anything inside the pie but sweetened blueberries, flavoring and a little thickener. And he doesn’t want a top crust. 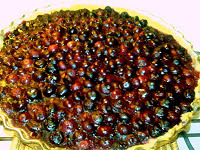 (I’m sorry-but the top crust is the best part, my dear…) He said all he cared about was having lots of gooey blueberries on top of 1 crust that he could eat warm with cold ice cream or cold for breakfast the next day. Anything else I was allowed to play around with. –Pulse everything in your food processor until it looks like bread crumbs. –Press into a greased and floured 9 or 10in fluted, tart shell. –Mix everything in a bowl and pour into the prepared crust. Make sure the filling is spread out evenly in the pan. 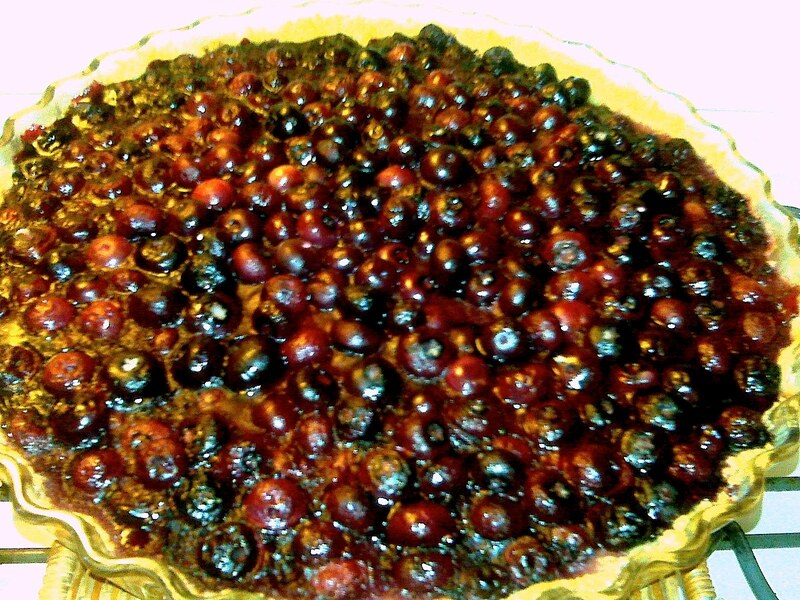 –Place the tart shell on a foil-lined cookie sheet. 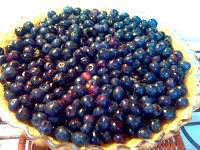 –Bake at 350* for another 50-60 minutes, or until the blueberries darken and the mixture has thickened. –Serve warm with vanilla or lemon ice cream. Perfectly gorgeous! And delicious, I'm sure. I love blueberry season. And I think you and your husband need to keep doing something new every year! Thank you Tinky, it was delicious…or so my husband said. Blueberries are on my definite 'do not eat or you shall be sick' list this pregnancy. So is garlic…isn't that something?